Safety is always a number one priority within any workplace. That is why, it is important that forklift operators take a few minutes to complete a pre-safety check to ensure their own safety as well as the safety of the people around them. A pre-start safety check should be done every time you use a different forklift and at the beginning of each shift, as the forklift may not have been left in a safe condition by a previous operator. Checking steering, brakes (including park brakes), controls and lights. Reviewing all warning devices are operational. Ensuring load capacity data plates are fitted, legible and correct. Inspecting lift and tilt systems including the correct operation of attachments such as clamps, hydraulics lines (for oil leaks), chains, cables and limits. Checking mast for signs of wear, damage, cracks or repairs. Ensuring guarding is in place and functional, for example, around the battery compartment or fuel lines. Checking liquid levels, for example, hydraulic oil, brake fluid and water. Reviewing gas cylinders, where relevant, and its securing system. Check the condition and adjustment of the seat and seat belts to ensure they work reliably. Forklift pre-start safety checks should only be conducted by trained operators, while repairs and maintenance must be completed by qualified and authorised personnel. If any defects are identified from the pre-start checks, they must be recorded in detail and reported in accordance with the employer’s defect reporting systems. In addition to ensuring operator and other employee safety, the pre-start safety checks will also reduce workplace injuries, increase productivity, reduce downtime, improve the condition of the forklift and reduce maintenance costs for your organisation. With over 30 years’ experience in providing forklifts and service to organisations nationwide, MLA has developed an exceptional reputation for providing and maintaining forklifts that operate at peak performance. MLA’s trained technicians can quickly respond to any defects identified by forklift operators in the pre-start safety checklist inspection. 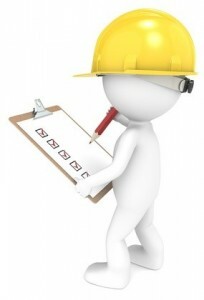 For further forklift safety information contact NFM on 02 9765 2043 or www.nfmforklifts.com.au. Information for this article was sourced from Safe Work Australia.